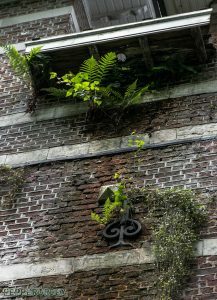 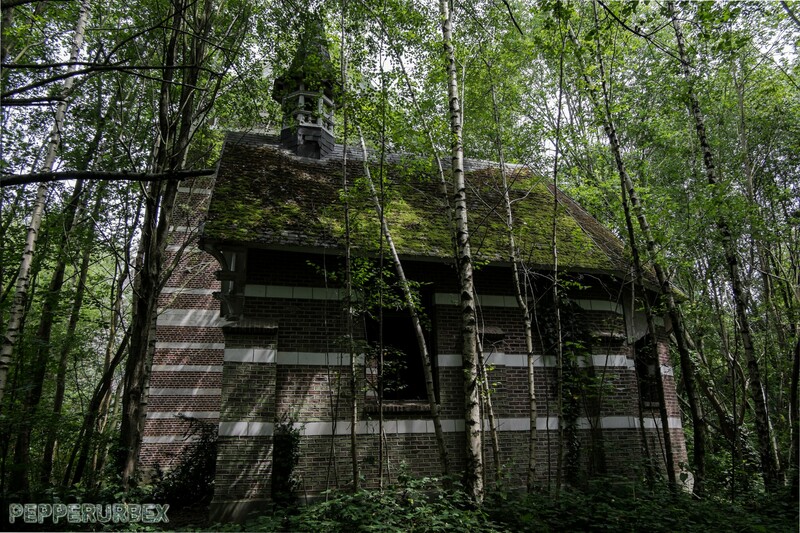 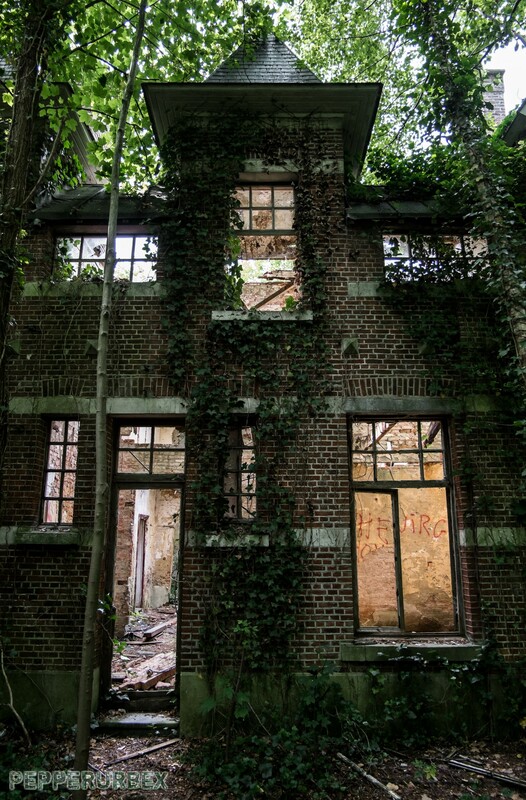 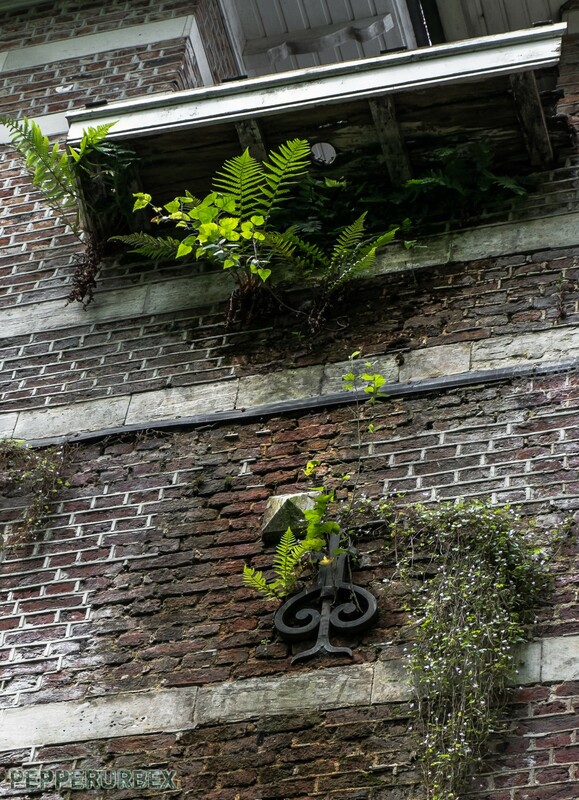 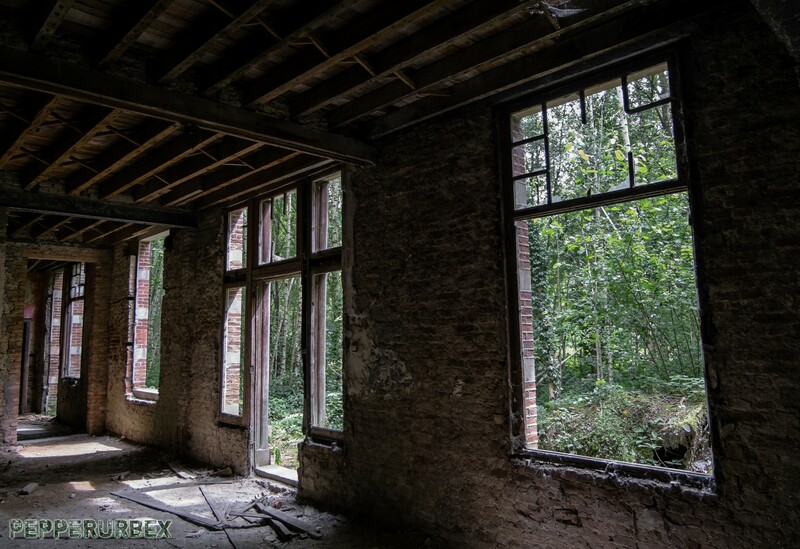 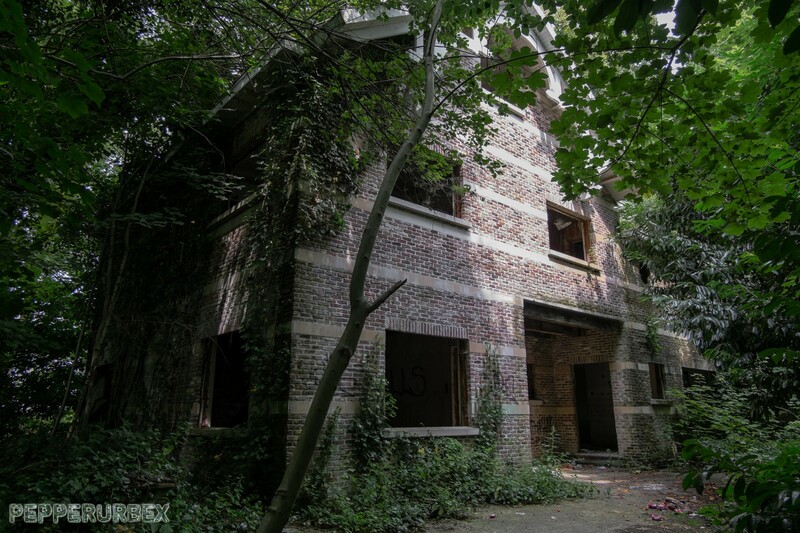 This abandoned castle with chapel was founded in 1876 by the wealthy Antwerp shipowner Frans Huger. 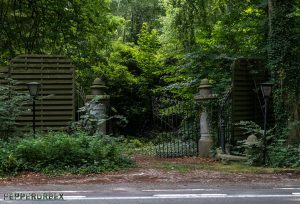 It is located in a park with century-old beech and chestnut trees. 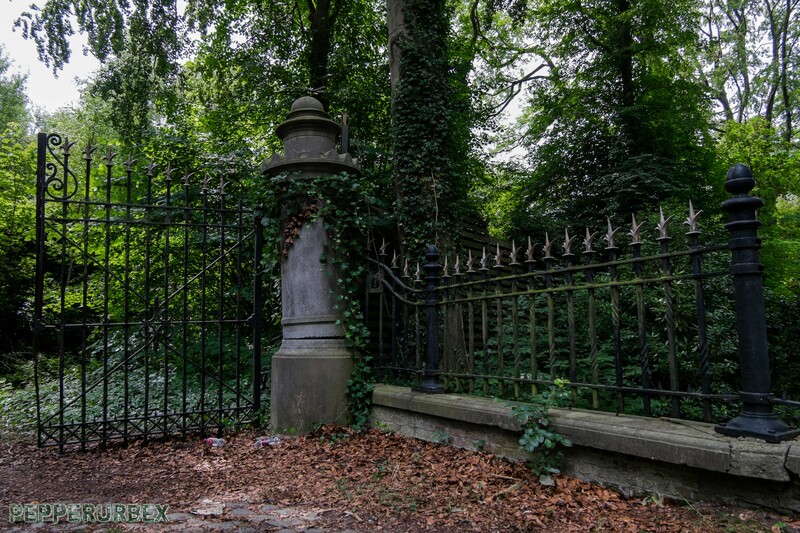 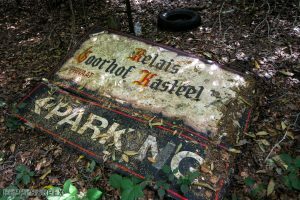 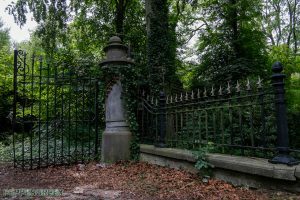 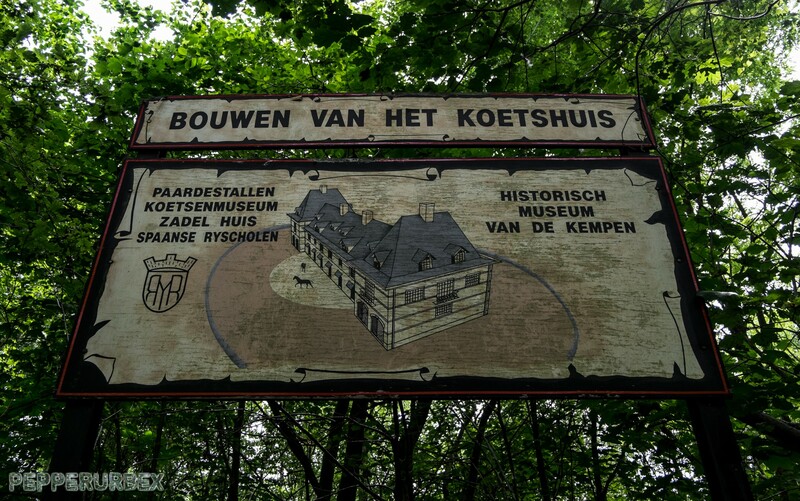 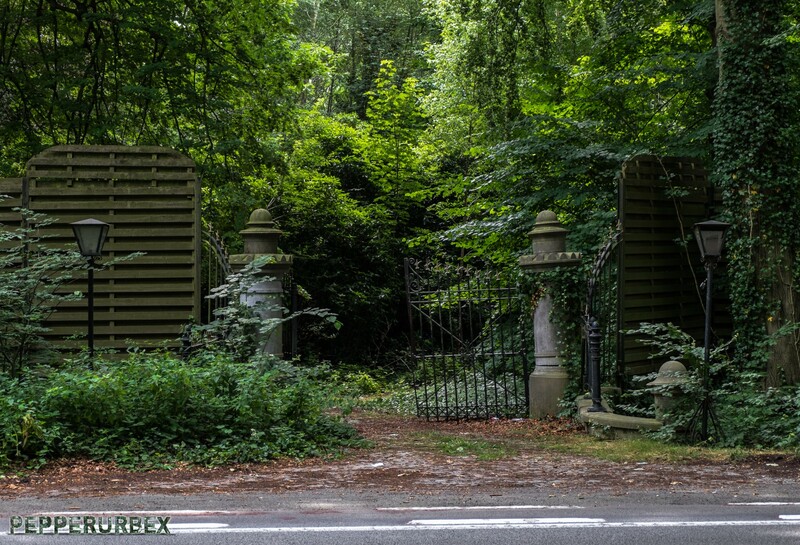 Today nothing remains of the beautiful place that nineteenth-century Goorhof was under the previous owners. 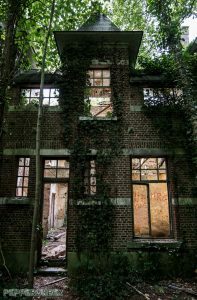 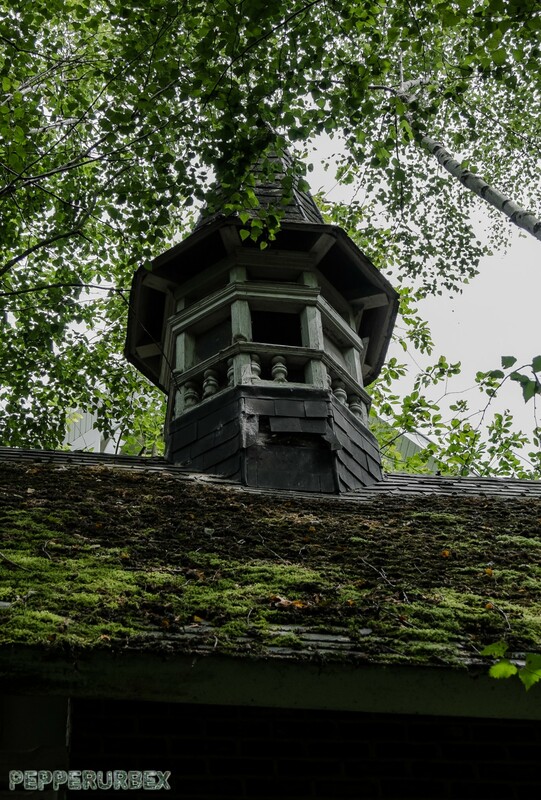 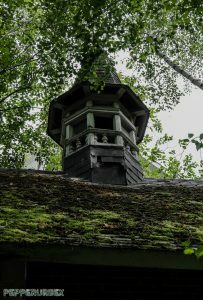 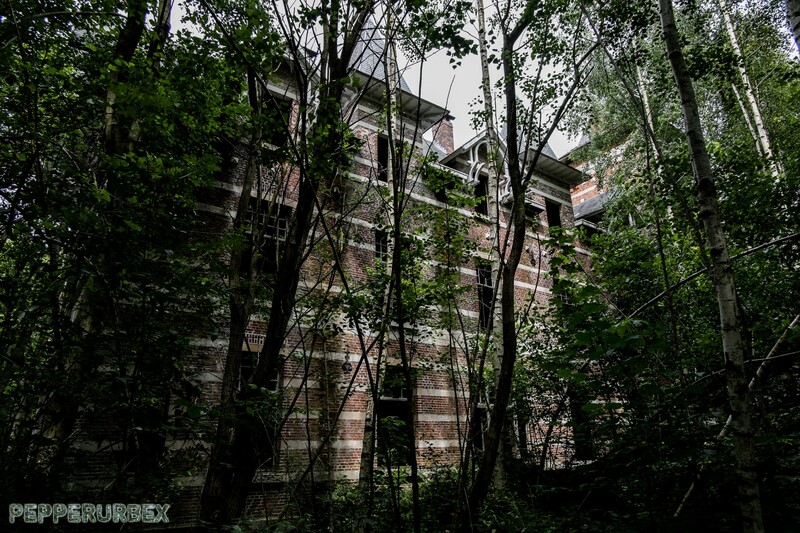 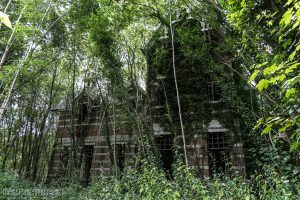 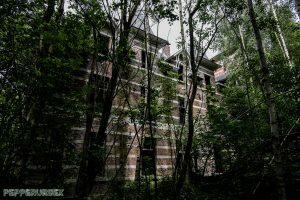 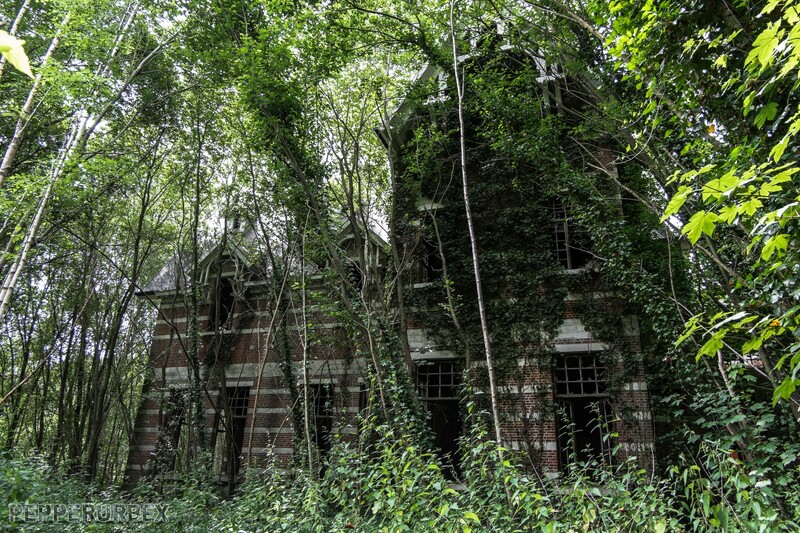 Since 1996 it is owned by a Dutch real estate entrepreneur, who left the buildings uninhabited. 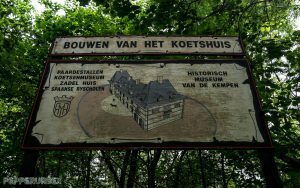 Now it can’t be restored anymore, several times there was a fire and now it’s a completely plundered dump. 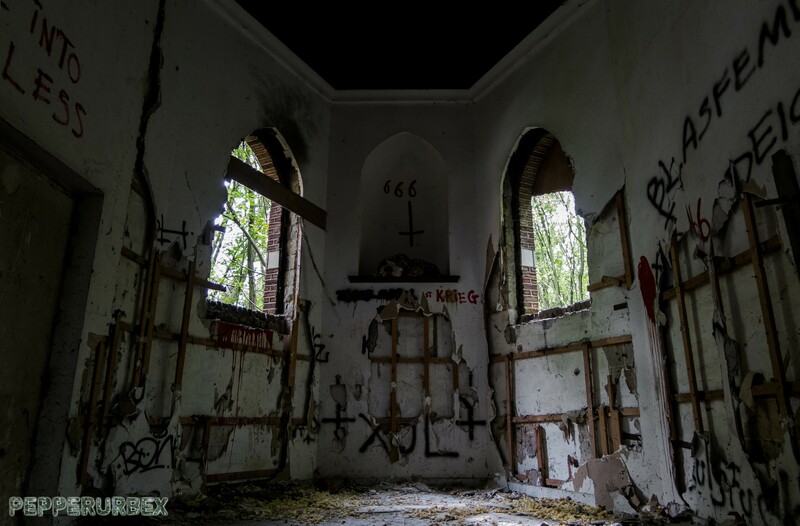 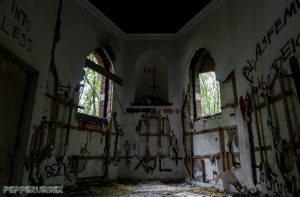 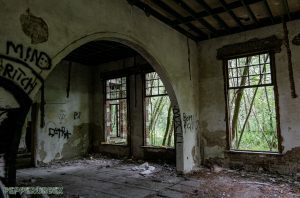 Vandals, Satan worshipers and Nazi sympathizers took possession of the castle and have thrown out the windows and left the walls covered with graffiti. 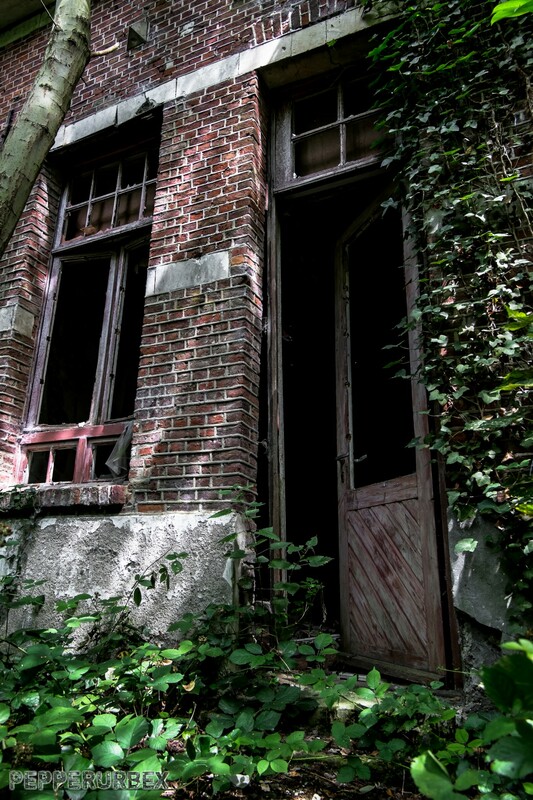 Because of all the fires stairwells and complete floors have come down. 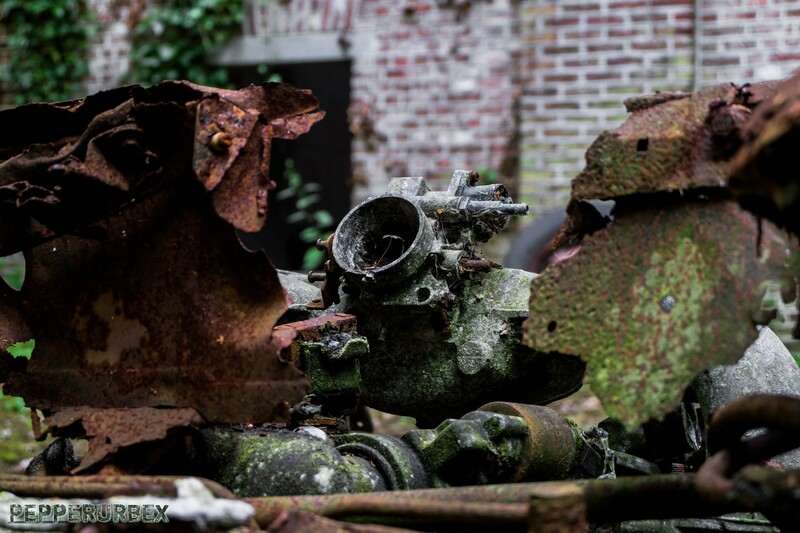 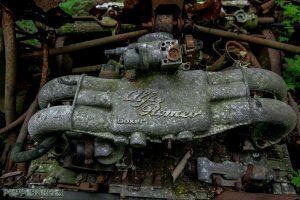 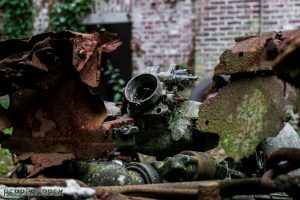 In the courtyard was once a dark red Alfa Romeo car, today the only thing remaining of the car is the engine. 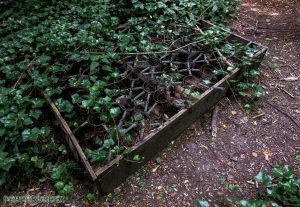 The statues are beaten to pieces or so overgrown with plants that you walk past them without knowing it. 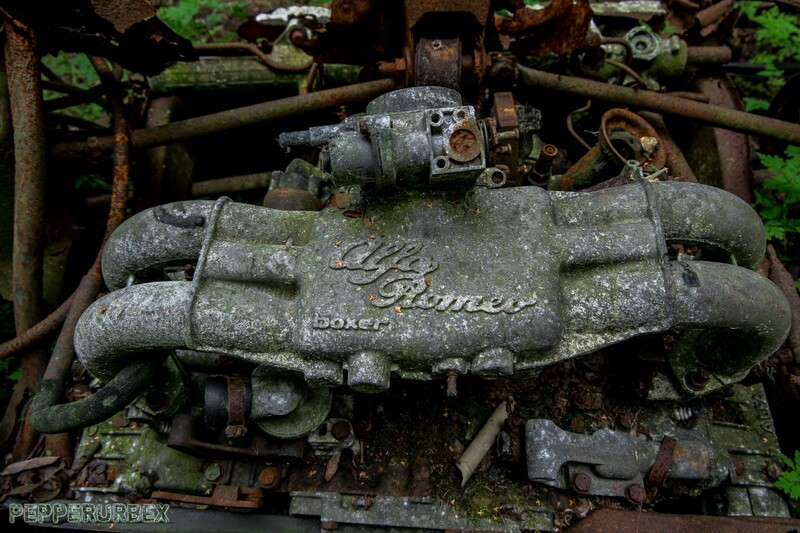 A sad case of decay!